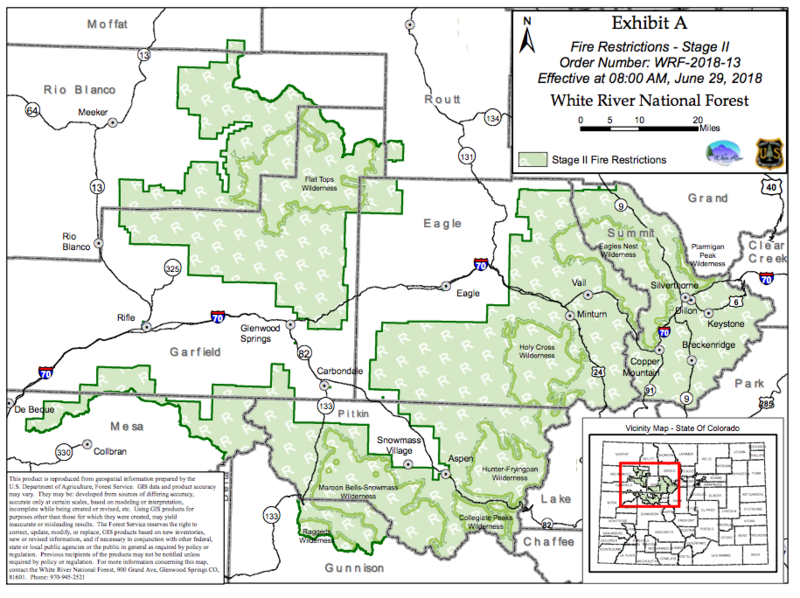 Map shows the area of Stage II fire restrictions in the White River National Forest. Use of a motor vehicles off National Forest System roads, except when parking in an area devoid of vegetation within 10 feet of the roadway, and except for parking overnight in developed campgrounds and at trailheads. 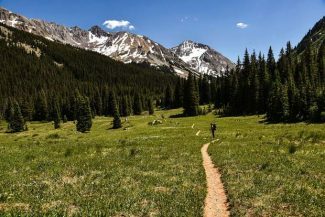 The White River National Forest is moving to Stage II fire restrictions effective immediately for the more than 2 million acres it covers, joining a growing number of agencies including Pitkin County to tighten the fire rules going into the Fourth of July holiday. The Upper Colorado River Fire Management Unit officials made the announcement Friday morning, and the alert stresses that all outside fires are banned, even in established campgrounds. Other restrictions include any smoking outside and it continues the ban on fireworks. The White River National Forest encompasses 2.3 million acres in central and western Colorado and includes the Aspen area. Pitkin County Sheriff Joe DiSalvo announced Friday that the county is moving to Stage II restrictions effective at 12:01 a.m. Saturday. 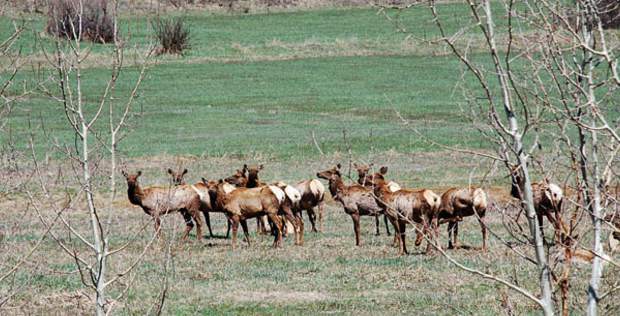 Aspen-Sopris District Ranger Karen Schroyer said the concessionaire operating the campgrounds will cover the fire grates and enforce the prohibition with the stricter rules being adopted. The Forest Service staff is mount a major education effort. Fire restrictions on these lands will be in place until further notice, officials said, and those found responsible for starting wildfires will also face restitution costs of suppressing the fire. Pitkin County is expected to increase its restrictions today or Saturday. 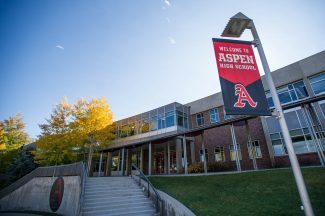 Eagle County implemented Stage II bans Friday as well. Summit and Garfield counties also have implemented Stage II fire restrictions. Glenwood Springs had previously implemented Stage II restrictions. Stricter regulations are warranted because of the low fuel-moisture levels and dry weather forecast. Several wildland fires started in Colorado on Thursday, providing additional fuel for further restrictions.